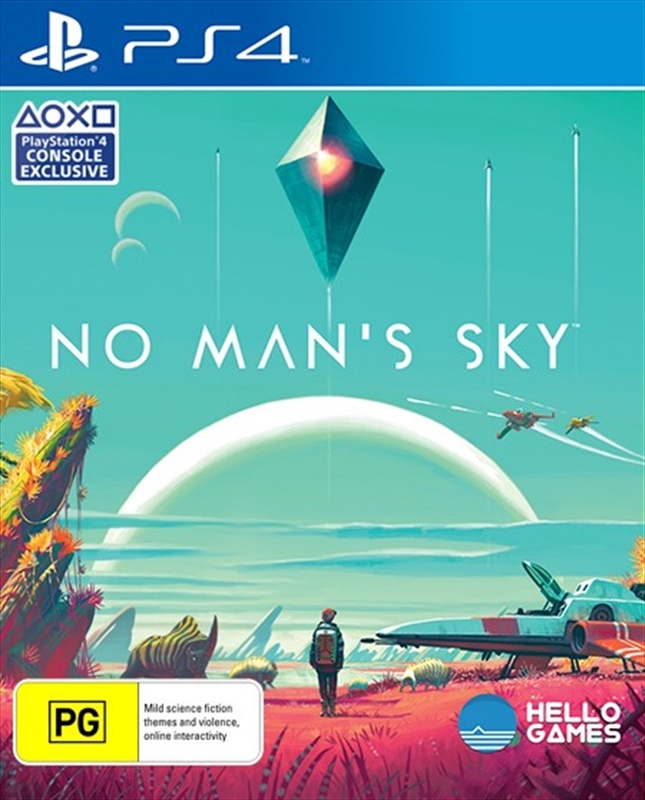 No Man's Sky is a game about exploration and survival, set in an infinite procedurally generated universe. Whether a distant mountain or a planet hanging low on the horizon, you can go there. You can fly seamlessly from the surface of a planet to another, and every star in the sky is a sun that you can visit. Where you'll go and how fast you'll make your way through this universe is up to you. It's yours for the taking. Every solar system, planet, ocean and cave is filled with wonder, but also danger -- and you are vulnerable. Your ship and suit are fragile, and every encounter can test your skills to the limit. From dogfighting in space to first-person combat on a planet's surface, you will face foes ready to overwhelm you. Collect precious resources on the surfaces of planets and trade them for the ships, suits and equipment that will take you to your destiny in the stars. Other players will also exploring the same vast universe in parallel; perhaps you'll make your mark on their worlds as well as your own.